A Photo Chick's Journal in Paradise: Bloomies and Super Citizen!!! Welcome to Hokulii Images' on-line journal and website! Here you'll find some of the coolest experiences in my life as a pro photographer & island girl in one of the most awe inspiring places on earth - Hawai'i!!! My name is Geralyn Kamahaʻolani Camarillo, Welina Mai! Welcome and enjoy!!! Oh snap! Get more Hokuli'i ju-ju on Twitter! 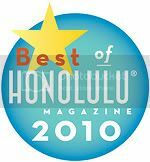 Hokuli'i Images is Voted Best Wedding Photographer for 2009! Woo-hoo! MAHALO NUI LOA!!! Wow! Fo' real? Hokuli'i Images' blog is a FEATURED blog??? Eco-friendly bags - shop in style! Did you know I have a WEBSITE???? Hawai'i Visitors & Convention Bureau Member!!! Who says Spider Man can't fly? Alice's work as a minister, Fengshui Consultant, Astrologist and inspirational speaker is inspiring!!! One of my most favorite Event Planners! Your one stop shop for wedding resources, support and not to mention ono food and drinks!!! Keepin' it GREEN & BLUE! Ernesto@techdealsmag on Happy October 1, 2012!!! adult orthodontics on Crooked Teeth = Dreams Come True!!! Essay Writing on Bloomies and Super Citizen!!! safiya on Congratulations, Kay Anne and Amiel!!! Sonia Choquette: "Ask Your Guides"
T. Harv Eker: "Secrets of the Millionaire Mind"
My dear Feng Shui Sister and friend, Kimi, introduced me to a fabulous store in Chinatown today called, Super Citizen! I was so excited just walking through the front door! Look at the graffiti chalk drawing of the STARS on the wall!! I don't know if this is supposed to be there or not. But I didn't care as seeing hokus (stars) are always a great sign in my book!!! Kimi wanted to introduce me to her friend and fellow Chinatown shop owner, Sandra Fowler. Kimi had recently introduced my BSS and fellow artist, Debbie Friedrich's, special line of Zenatona products called Bloomies. And here she is! Super citizen herself, Sandra Fowler, owner of Super Citizen! You guys, this store is sooooo cute! It's a Sustainable Lifestyle Store which means that all the products that Sandra carries are eco-friendly, handmade, organic and most likely one-of-a-kind! Her store reeks of wholesome goodness!!! Sandra showed me some really cool earth friendly items like these biodegradable cloths that are made from wood pulp. They can replace 60-90 rolls of paper towels!!! She supports local artists by purchasing locally made items such as handsoaps and jewelry. And these cool R.E.U.S.E. jeans! Several things really caught my attention such as this cardboard airplane that was hanging from the ceiling! OMG!!! Some company was BRILLIANT enough to take cardboard into creative forms of pretend transportation or how's this! I remember being a kid and my sister and I had hours of fun playing with empty cardboard boxes. Isn't this soo dang clever??? Sandra has the Lemonade Stand, Airplane and ROCKET in stock at her shop. This is so awesome and I want one. One of each!!! Loved these 2 Tier lunch containers! And they are on SALE!! In fact, check out the sales too!!! What I've shown you is just a snippet of all the wonderful products and alternative choices to your every day needs. Super Citizen is a really super cool store which you should all check out! Especially for the holidays, folks! Take a trip into Chinatown and explore the great local shops that are there. Stop into Super Citizen and tell Sandra HI!!! And pick up a Bloomie or two while you're there, will ya?